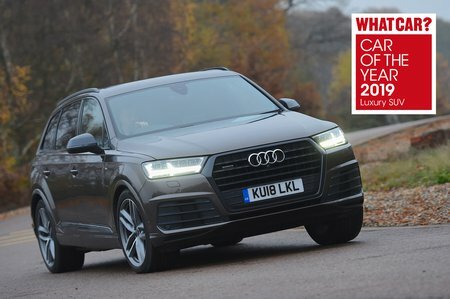 Audi Q7 50 TDI Quattro Vorsprung 5dr Tiptronic 2019 Review | What Car? What Car? will save you at least £7,300, but our approved dealers could save you even more. This range-topping trim is available on the 3.0 TDI 272 and the SQ7. Standard equipment varies slightly depending on which engine you choose, but includes monstrous 22in alloy wheels and an extended leather interior package that makes the Q7's interior feel even more luxurious. It's hugely pricey, though.